In today’s market, the competition is moving more from the brick and mortar storefront to an online presence. This presents very unique opportunities for those who are looking to grow and succeed. You could be missing the boat if your sales force doesn’t have their very own personal websites and are not working all social media sites. This is a very unique opportunity to capitalize on if you move quickly and take steps to help your salespeople build their personal brand within your dealership’s brand. The following areas are but a few to consider when you are searching for information on Salespeople Personal Websites. Uniqueness in the Car Industry: Most all dealerships across the country now have their own websites. The sales department probably has their own page on that website as well, and most likely gets lots of hits throughout the day. But, can you imagine if every individual on your sales team was working their own personal website in conjunction with your dealer website? Can you imagine the buzz that could be created around your dealership? Built-In Content Strategy: An extensive content library that is full of industry specific blog articles written specifically for salespeople to post to their Personal Website is like the Fort Knox of blog content!. It is a must! This strategy helps designate value for the salesperson and creates trust through knowledge of the auto industry. The added ability to create their own personal content helps salespeople to build a more personal relationship with customers and prospects alike. Everything, including your social media efforts, should re-direct to a personal website: When trying to generate website traffic, the name of the game is to get people off of your rented space (social channels) and on to your own property, your website. Build-A-Brand offers such a platform. Our Personal Websites are customizable and help bridge the distance between your dealer lot and the online community. With our content library, you will be able to post blogs every day to your social media channels, stay current and out in front of the competition! These blogs also link directly back to the salespersons personal website where they can effectively manage prospects and customer follow up. 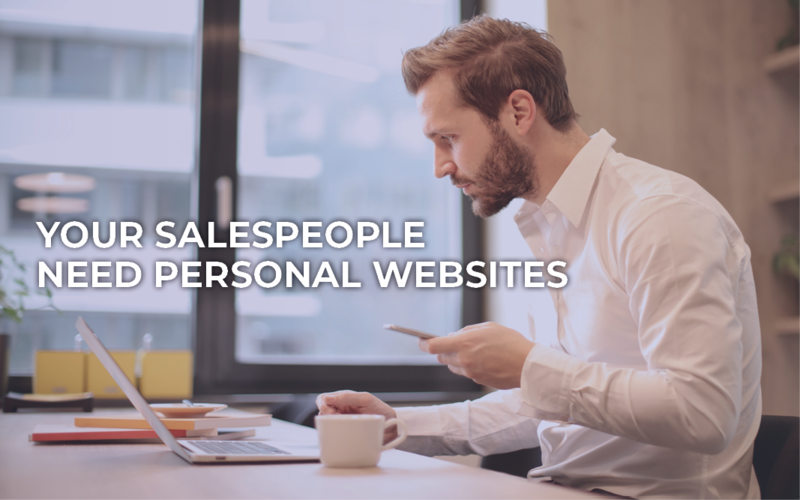 It is difficult to get the most effective results the internet has to offer if your sales team doesn’t have personal websites. Your dealership, as well as each of your salespeople, would benefit from adopting a broad yet integrated marketing strategy, including a strong presence in the online inventory marketplace, to effectively reach and influence shoppers wherever they are shopping online. This is what helps create uniqueness and sets you apart from others in your industry.